Dandelions. They’re not just weeds! They have several practical uses: tea, coffee, and salads. And don’t forget about the pretty bouquets kids bring to you with carefully hand-picked dandelions lovingly chosen just for you. But have you heard of dandelion clocks? Last year we learned a new “use” for dandelions. A dandelion clock. You may already be familiar with them, but I hadn’t heard of them where I grew up. Dandelion locks are super-simple. Pick a dandelion that has gone to seed and is all nice and fluffy. Hold it up and see what time it is. 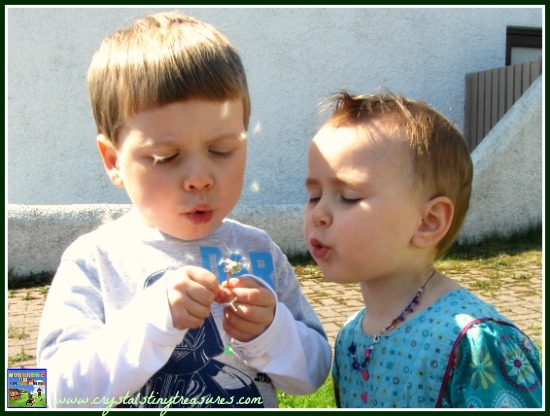 Take a breath and blow on the dandelion head like you do when blowing out candles on a cake. Continue on until all of the dandelion seeds have been blown away, and that’s the “time”. 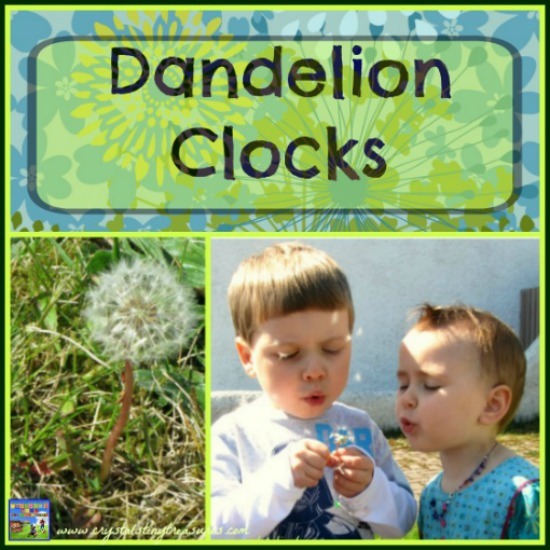 Dandelion clocks are a fun way for children to learn to count, and for older children they still have fun watching the seeds blow in the wind. Where do the seeds go? What will happen with them? 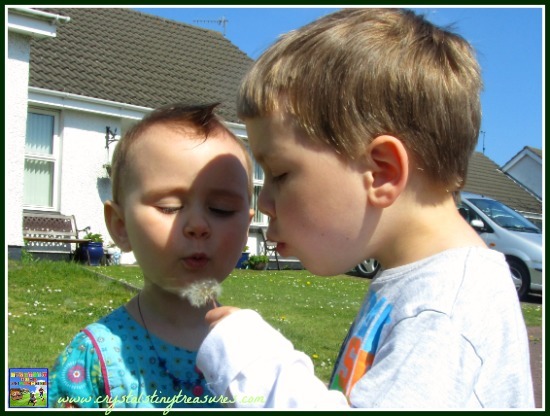 Have you tried a dandelion clock? 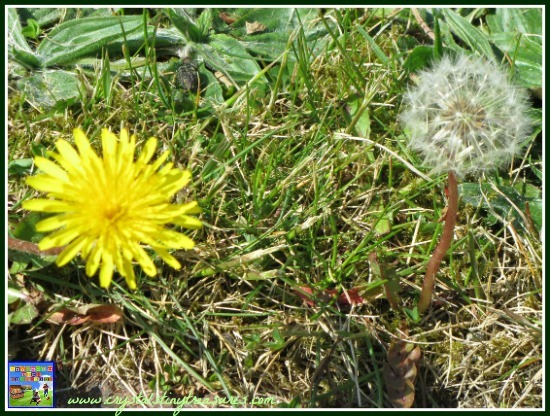 What’s you favourite use for dandelions? If you enjoy getting up close to nature with your kids, try a marine walk, or some bird watching. This is a darling post and I never knew that rhyme before! This is so nice for language development, as well as something that is so enjoyable for children. Pinned! Thank you! This is a cute and fun idea. I am featuring your post this week on Artsy Play Wednesday. It is a new linky this week, so please stop by and link up a whole bunch of posts! How exciting!! I’ll add your address to my places to drop in and have a look around. Have a great month!